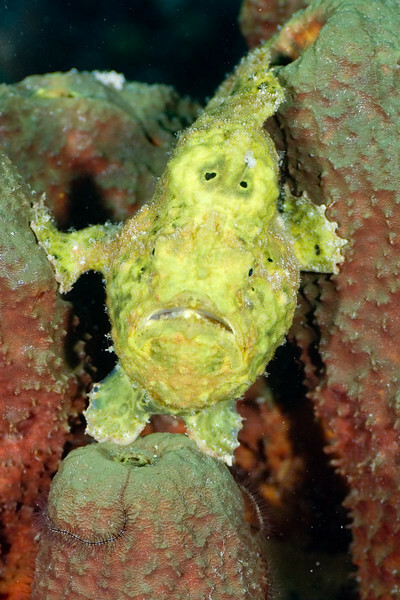 This is not the baby yellow frogfish I missed in Dominica but a nice one you've seen in Curacao...lucky diver you are ! I am waiting after your pictures. Best regards from Lise & of course Happy new year 2010 ! Oh my, this is hilarious! Looks like it's hanging on -- and not happy about that! pretty sad and ugly, but nice shot! !